Host: Don Ecker - Dark Matters Radio LIVE! AJ @ Mind Body & Spirit! - Use Promo Code: KGRA at Checkout! MainStreams Most Wanted! - Your Contact for the Best UFO Paranormal Talk Radio~! Robert Stanley - Welcome to the Show! robert stanley - Welcome To The Unicus Radio Hour Program! Your Contact for Alternativer Research Topics! - The Planet! KGRA Mobile Apps are here! 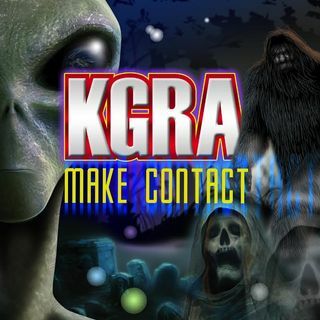 - Get the KGRA Mobile Apps now!